The Pharmacogenomics Clinical Decision Support Rules Implementation Team: Front row, from left: Padma Rao, Cloann Schultz, Pedro Caraballo, M.D., Caer Rohrer Vitek, Jamie Bruflat. Back row, from left: Robert Bleimeyer, Joe Sutton, Wayne (Nick) Nicholson, M.D., Pharm.D. Missing: Kelly Wix, Pharm.D., R.Ph. ; Lois Hines, R.Ph. When Dr. Charles Mayo, one of the founding Mayo brothers, uttered that line over a century ago, he could have been referring to the Pharmacogenomics Clinical Decision Support Rules Implementation Team of today. In an organization that values and promotes teamwork, this Center for Individualized Medicine-supported team excels. And patients are safer because of it. The Pharmacogenomics (PGx) Clinical Decision Support (CDS) Rules Implementation Team recently won the prestigious Mayo Clinic Excellence Through Teamwork Award for its efforts to enhance patient safety by decreasing potential adverse drug events and increasing drug efficacy. The Excellence through Teamwork Award provides Mayo the opportunity to recognize individuals for their exemplary teamwork skills. The PGxCDS Rules Implementation Team created, implemented and maintained pharmacogenomics (drug-gene) clinical decision support rules in the electronic medical records (EMR) and point-of-care education for prescribers that has been replicated throughout the enterprise. 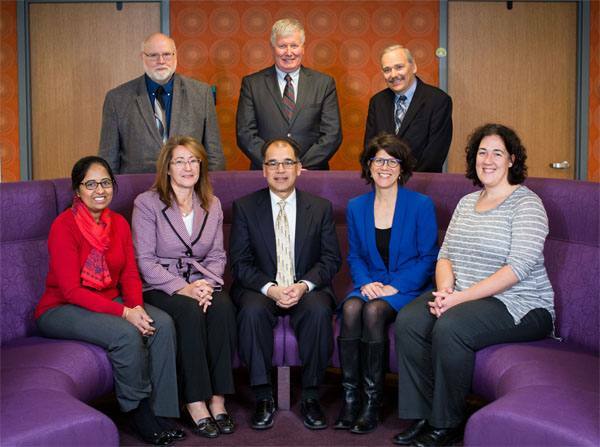 The PGxCDS Rules Implementation Team took its direction from the Pharmacogenomics Task Force. The scope of the task force was to identify, monitor and manage genetic variants with implications for clinical care. “Having a direct impact on patient care is a powerful motivator,” said team member Cloann Schultz, M.S., P.M.P. Team members included Robert Bleimeyer; Jamie Bruflat, M.S. ; Pedro Caraballo, M.D. ; Lois Hines, R.Ph. ; Wayne Nicholson, M.D., Pharm.D. ; Padma Rao, M.S. ; Cloann Schultz, M.S., P.M.P; Joe Sutton; Carolyn Rohrer Vitek, M.S. ; Kelly Wix, Pharm.D., R.Ph. This project was supported by the Center for Individualized Medicine as part of a strategic effort to implement genomic medicine into the practice. The Excellence Through Teamwork Award provides Mayo Clinic the opportunity to recognize individuals for their exemplary teamwork skills. They are the dedicated people who exemplify the values and excellence for which Mayo Clinic is known. Their efforts go beyond that of normal job responsibilities and obtain outcomes that have a positive impact for the organization.